Annual Passes allow the use of many of our facilities and locations at a highly discounted rate. They are a great idea if you frequent your favorite fishing hole or boating activity at our four state recreation areas because they eliminate the entry fee and some of the delay of stopping at the ticket booth. 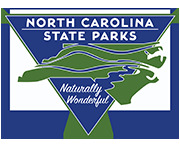 The Annual Passes also cover certain activity costs at most Park locations throughout the State: boat rentals at 9 locations, Ferry Passes at Hammocks Beach, bike rentals and other activities. Annual Passes are sold for individuals and our new Friends and Family pass now cover a family or group of up to 6. They are good all year in 2019. Purchase of your Annual Pass enhances our ability to meet our conservation mission, and provide many opportunities in our Park system. If you are a repeat Parks patron, the Annual Pass is the deal for you! **Accessibility can be an issue with any outdoor destination, activity or event. Seasonal weather, or occasional weather disasters (ex. hurricane抯) and human-caused action (ex. construction or safety concerns) can sometimes limit accessibility of our facilities. Please contact the park you plan to visit to confirm availability of activities or facilities.